Zeus 3 Slots Online | Spin to WIN Jackpots & Bonuses! Join the Greek God Zeus and play Zeus 3 slots! Spin to WIN this 6 reel, 192 payline slot and enjoy incredible wins! There are expanding and nudging Wilds that help you win even more! 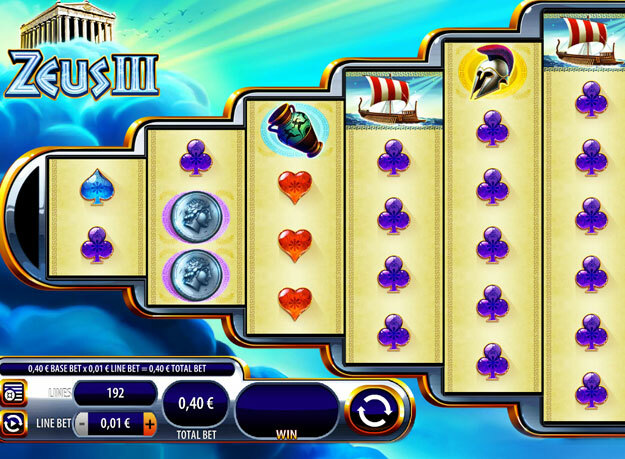 Zeus 3 slots is an online slot machine with a Greek Mythology theme. 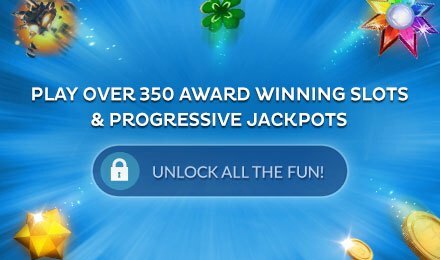 There is an incredible 192 ways to win so expect big rewards! There are Wilds, Scatters, and exciting FREE Spins feature where you can win loads of cash! Get three Lightning Bolt scatter symbols to activate the FREE Spins bonus! Depending on how many scatters you get you can win up to 50 FREE Spins! The Wilds in Zeus 3 slots can also help you win big! The Wilds expand and nudge to increase your chances to win even more! Spin to Win today!